With just a few simple supplies, the real “treat” this year will be this spook-tacular and easy-to-make DIY Halloween Wreath for your front door. Happy Fall, Y’all! 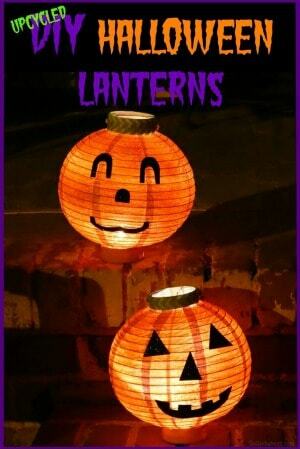 It’s Alaina from Bullock’s Buzz, and I’m back again to share another fun and crafty post. 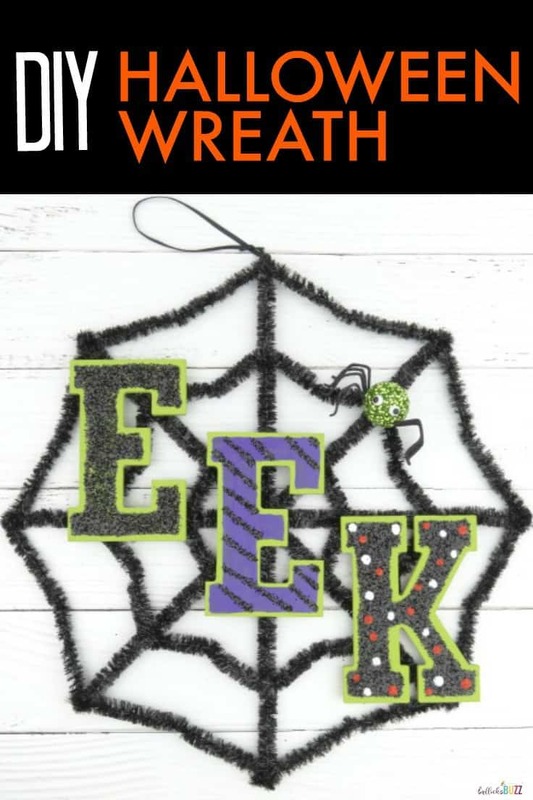 This time a craft that is so easy, it’s eerie– a last-minute Halloween Wreath! Each year, it never fails. Despite my best planning and intentions, I wind up running around looking for last-minute costumes and Halloween decorating ideas as the big day draws closer. If this sounds like you, fear not! 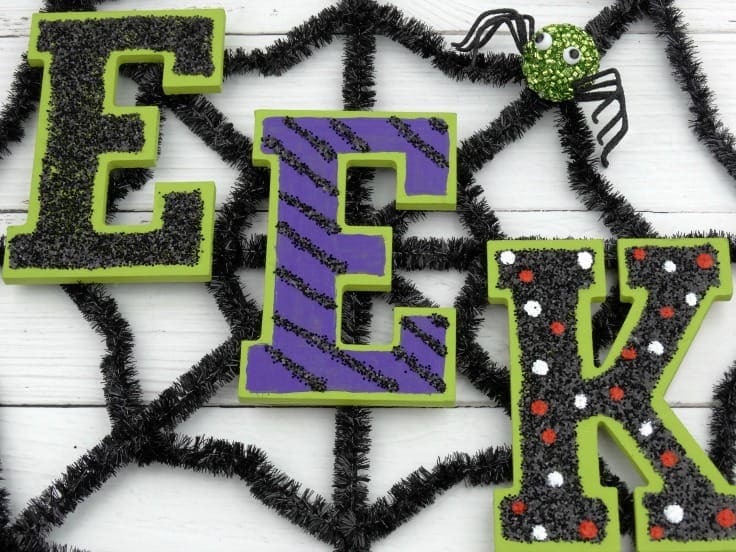 This spooktacular Halloween Wreath will dazzle your guests and make your door the cutest on the block! The front porch is a focal point of Halloween celebrations, and is often the first thing to greet Halloween ghouls, ghosts and goblins. 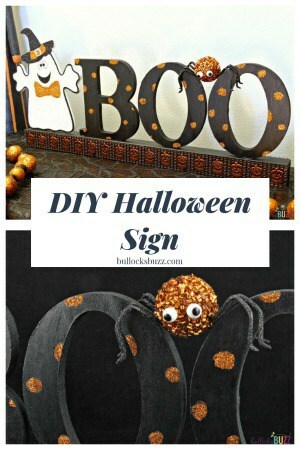 This simple Halloween Wreath is a great way to trick out your doorway and greet your guests. And if you prefer to skip the door decor, it also looks great hanging on a wall! This DIY Halloween Wreath is not only quick and easy-to-make, it’s inexpensive, too! All you need are a few simple supplies and about 30 minutes – the majority of which is waiting for paint to dry. 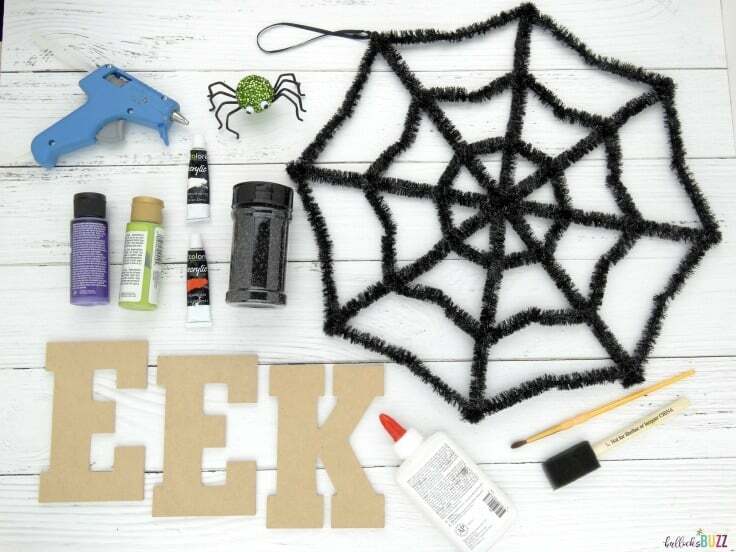 The large spider-web was found at my local dollar store, and the wood letters and fake spider came from Hobby Lobby. The paint, glitter and hot glue came from my stash of crafting supplies at home. Of course, you can also find a lot of these supplies on Amazon – check out the links below! 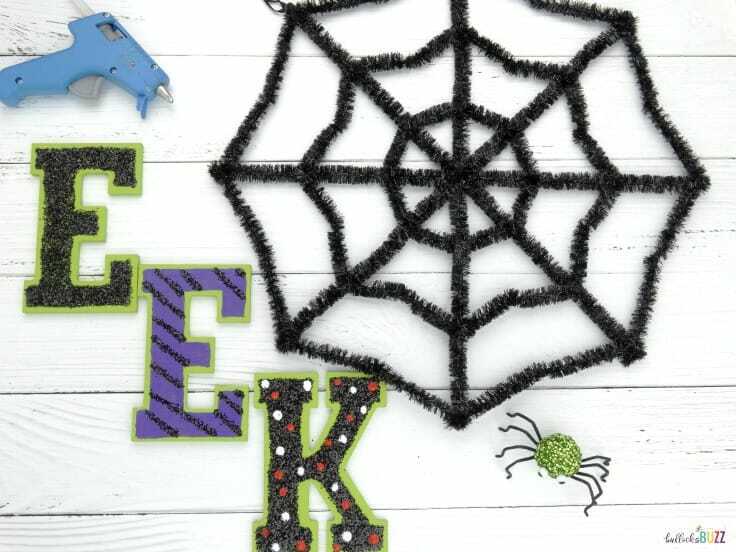 Making this last-minute Halloween Wreath is as easy as painting the letters, adding glitter, and then using hot glue to attach each letter and the spider to the spider web. While you can use any colors and patterns you’d like on your Halloween Wreath, I went with an apple green for the base coat on each letter. 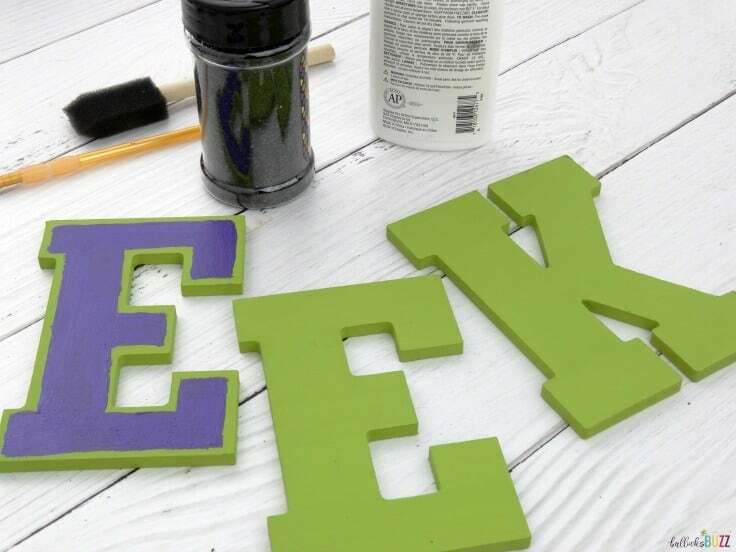 Once that dried, I painted the inside of one letter ‘E’ purple, making sure to leave an outline of green showing around the edges. I then added horizontal stripes on top of the purple paint using white school glue and black glitter. 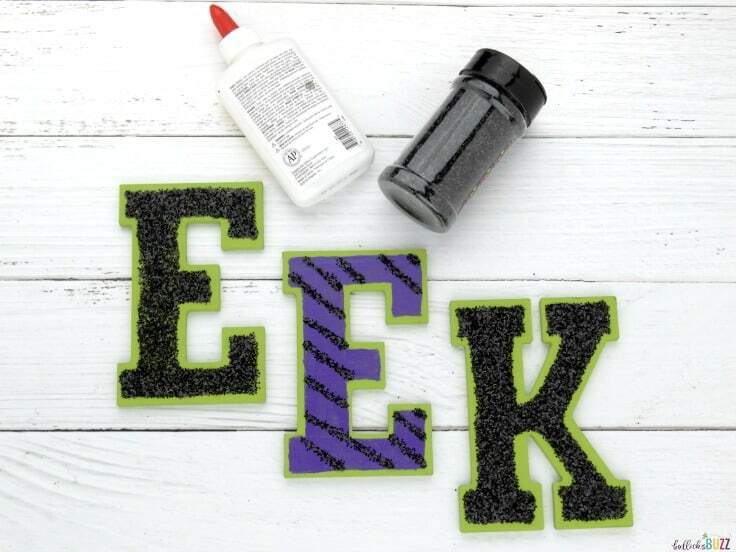 I covered both the second letter ‘E’ and the letter ‘K’ with glue where I wanted the glitter to stick and sprinkled the black glitter over top, again leaving an outline of green showing around the edges. 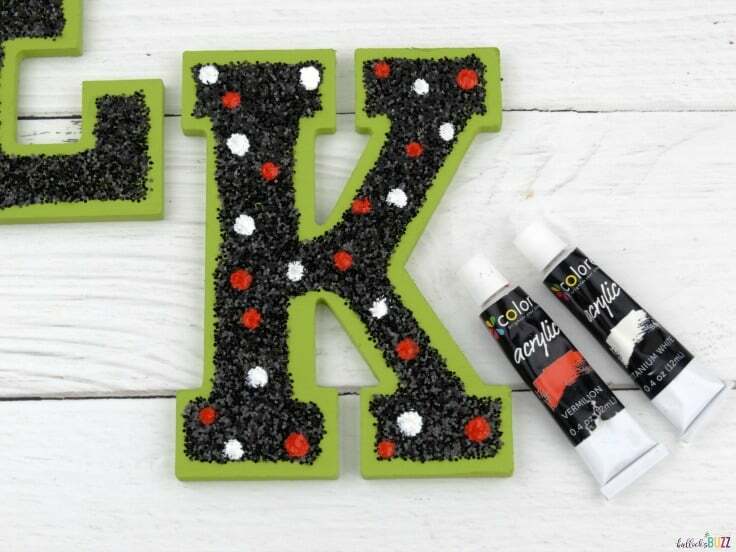 After waiting a few minutes for the glue to dry, I added orange and white polka dots on the letter ‘K’. I left the other letter ‘E’ just with black glitter. 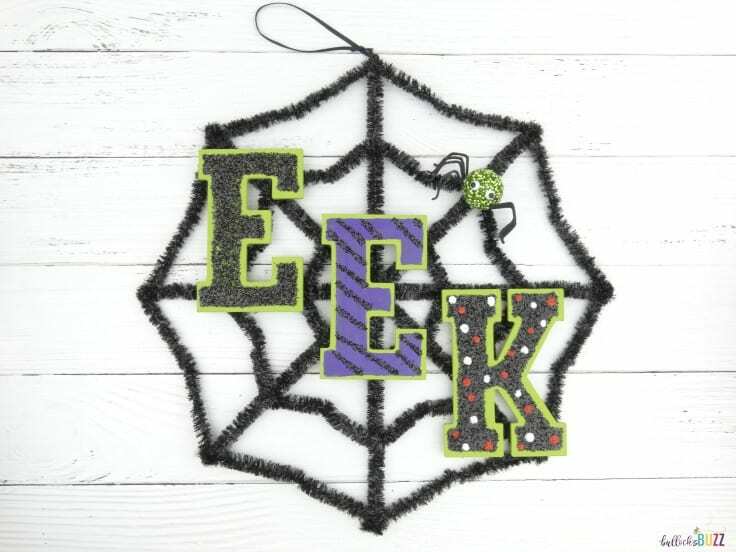 I then used hot glue to secure each letter to the spider web, making sure I was happy with the spacing between letters before actually attaching them to the web. Last, but not least, I used hot glue to add the green spider. And that was it. My DIY Halloween Wreath was finished! Isn’t it adorable?! 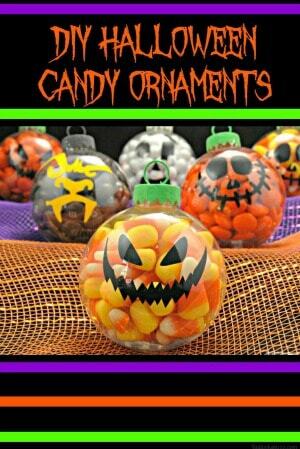 If you liked this last-minute Halloween Wreath, you’ll definitely love these other frighteningly fun Halloween crafts!